We are having a beautiful and healthy little BOY. We were a little shocked as we had only been told by a 5 year old and one other person that they thought we were having a boy. I should have known as I never can guess right for myself. I am much more accurate with other people's lives and babies. So, our little one will be named Turner David Wade Myers. Turner was a name that Torrey really liked and when he told me it, I loved it as it was my mother's maiden name. David is after my dad and Wade is Torrey's Brother Jeff's Middle name and I have liked that name for a while. 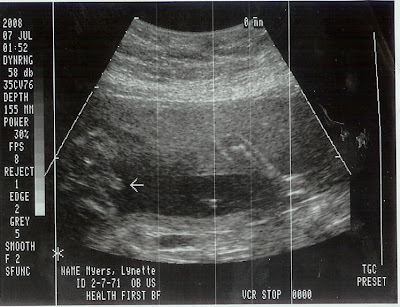 Here are the ultrasound pictures. One confirms it very clearly, the others are just shots showing the healthy spine and such. I wish we would have gotten one picture that we kept seeing on the screen. Our little Turner, every time we saw his hands, he had them folded as if in prayer. It was adorable and I thought that my husband would cry when he saw it. It was so much fun to share that moment with our doctor as well as he believes in God so we can talk of the true wonder of the Lord and know he agrees with us. I have only gained 4 pounds since the last visit so I did better than I thought I would. I am still down 12 pounds though since the start, so maybe I will only end up at where I started before getting pregnant. The doctor says that things look great and he is thrilled with how well I am doing with diabetes. He said the baby looks great and he finally agreed with me that the November 13 date is wrong. He moved the date today to November 6th. 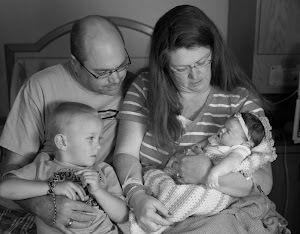 Maybe this little one will come on Grandma Larson's birthday like Casey came on Grandpa Larson's. 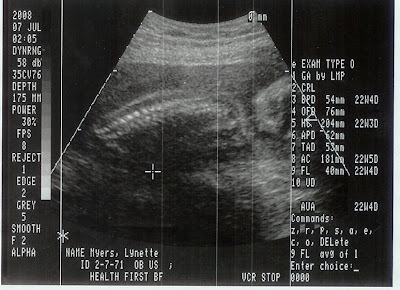 In the ultrasound I see a little fuzziness around the head and am wondering if that is hair. I have had some terrible heartburn and am curious if the wives tale can be true in this case. Both his daddy and I had a lot of hair when we were born. Torrey lacks it now however. Congrats! I LOVE boys!! I wouldn't mind having all boys if the Lord so wills. :) Thanks for sharing hte news. Yay, a little boy! Turner is such a cute name too! Congrats! Congratulations! How exciting and I love the name! Can't wait to meet him. 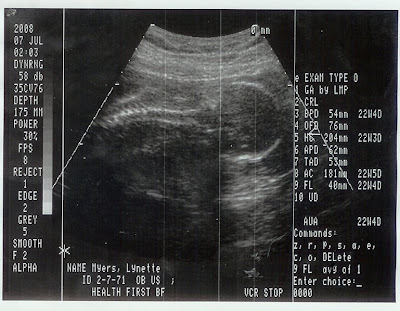 First off I love ultra sounds they are just so exciting. Also as I read this I am just excited. I think Turner is going to be a very fun child.